Home→Physmatics→Gravitational theories→Black Holes→LOG#193. Bits on black holes (II). ← LOG#192. Bits on black holes (I). The second and last blog post in this thread is about the analogies between black holes and condensed matter theory, in particular with phases of matter like fluids or superconductors. That is what explains my previous picture…And this post! 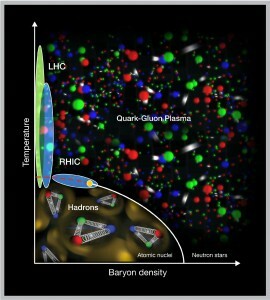 Are BH geometries exotic classes of “matter”? 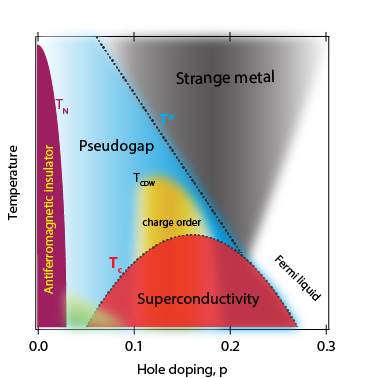 At current time (circa 2017), superconductors are not yet completely understood. They are a hard part of quantum many body physics! Liquids are more complicated phases of normal matter, where not the kinetic energy or the potential energy wins. Liquids are complex phases “in between” solids and gases. In a liquid, there is a concrete balance between the kinetic energy and the potential energy. It is a complex and complicated balance. Molecules in a liquid become attracted but they are not rigid like a solid! What about quantum liquids? Quantum mechanics introduces fluctuations via the Heisenberg Uncertainty principle, . 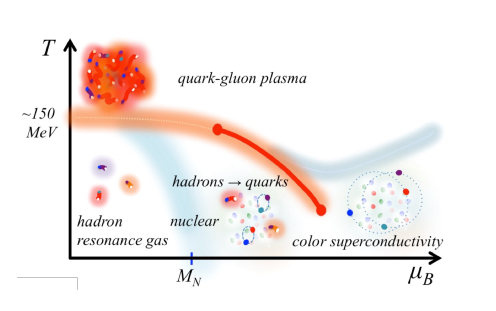 Transitions between different phases or states of matter (energy) are related to fluctuations in their particle energies (average temperature and interactions). Quantum phase transitions are phase transitions happening at , at least theorically (we do know we can not reach the absolute zero). Example 1. Mott transitions. Some metals, conductors, become insulators! Hole-particle wires explain conducting metals. The electron-electron repulsion can become strong. If so, a metal could become an insulator, something called Mott insulator. 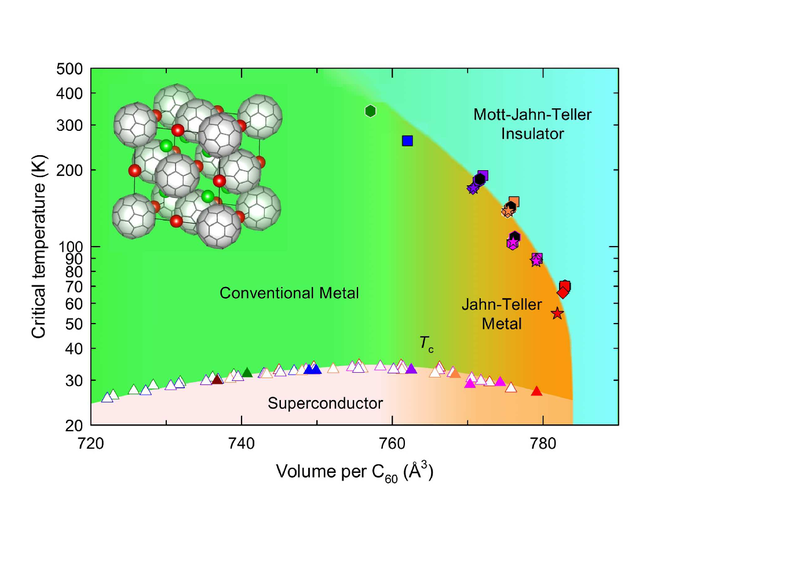 Mott insulators, under certain doping prescriptions, can become superconductors too! Doping is a parameter here. It also happens at low temperatures, close to absolute zero. Ferromagnetic phase. Below some critical temperature, spins are completely aligned and parallel to the magnetic field. They form magnetic domains. Antiferromagnetic phase. Below some critical temperature, spins are aligned antiparallel in magnetic domains. Ferrimagnetic phase. Below some critical temperature, spins are aligned antiparallel and parallel, but the total magnetic field does NOT cancel. Paramagnetic phase. Spins are randomonly oriented. It is above any of the critical temperatures mentioned before. 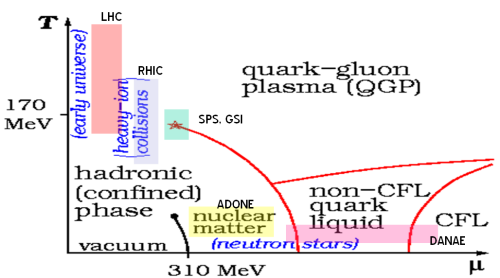 Another quantum phase transition is quark-gluon plasma (QGP). It happened in the early Universe or the LHC (ALICE experiment) and other colliders. Also, you could try to simulate it, but you would need a supercomputer. Expensive? Yes! At least now, circa 2017. 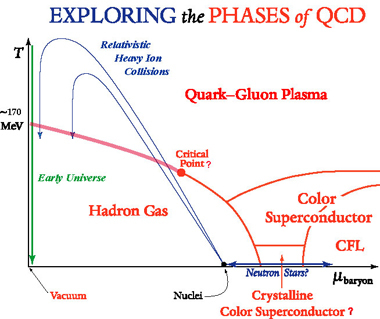 The unknown physics of QGP is related to the Hagedorn temperature, the Hagedorn transitions. Some hints of behaviour occurs there as well. There is a relative importance of motion versus interactions in strange phases of metals. They are quantified by lifetime of excitations. Excitations are ripples in electron-hole pairs. If you have a lifetime , the motion wins whenever . Interactions win whenever . These are the natural units of hole-electron timelifes. It is related to temperature . Just like black holes! Thermal energy is related to kinetic energy. Also in light waves. So, to some extend, you could, in principle, create liquid light or “solid” light (of course, I know about liquid light but not about solid light, yet!). Thus, , and quantum mechanics relate . Long lived particles imply , where T is the temperature. You can also realize a connection between time and temperature. A subtle one! For a quantum liquid, we have . Doping metals, change how they behave. This is well-known in solid-state and condensed matter theory but not in theoretical physics I am going to discuss now! Black holes were proposed originally by J. Mitchell in 1783, as places where light can not escape! A similar idea was envisioned by Laplace in 1796. The theory of general relativity, in 1915, redefined this concept better. Light also feels gravity. Black holes imply certain irreversibility, a deep concept and notion in physics, similar to the notion of entropy. At last, it seems black hole “are” entropy. We never keep track off all the details and we are doing some coarse-graining. This is the battle macrostates versus microstates. Molecules, atoms and particles are important in the distinction. Moreover, the area theorem states that for black holes, just like entropy in thermodynamics. That entropy is proportional to area and not volume, is the origin of the holographic principle. for black holes as well, where , and Hawking proved that , where is the surface gravity. Therefore, black hole thermodynamics is just like any other thermodynamical theory. Or isn’t it? We are lost the microstates! We don’t know yet the fundamental degrees of freedom of spacetime, i.e., the atoms of space-time. The thermodynamical analogy is very powerful and it is now a solid field completely established. As I mentioned above, and in the previous post, Hawking’s calculation using Quantum Field Theory (QFT) and Quantum Mechanics to black holes proved they have also a temperature. Black hole temperature is a quantum effect! Note the appearance of Planck constant in the Hawking temperature! BH have a huge entropy. Even a solar mass BH has a very big entropy. The formation of black holes releases (hopefully) unknown degrees of freedom. Curiously, a solar mass black hole has about times the sun entropy, and there is also stars in the observed universe! 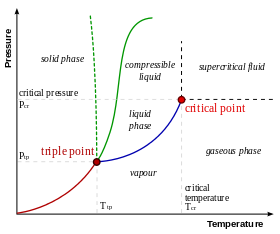 Recently, Verlinde proposed the idea of entropic forces in gravity. Gravity manifests itself as irreversibility from entropy! What is a BH made of? What are the BH microstates? How do BHs react to perturbations? Charges thrown to a stationary BH do create ripples on it! They could be described by diffusion equations! Heat diffuses nd charges also diffuse through the BH event horizon! BH should be close at thermal equilibrium. There are some difficult or hard materials, such as high temperature superconductors, topological insulators/superconductors and many others. There are materials that are neither ordered nor disordered. Liquids are the classical version of quantum liquids, a harder phase of matter. Classical BH have transition phase properties: surface gravity, mass or energy, entropy, charges,…When probed, BH behave strangely, just like a medium with certain time scale , neither long nor short, having not long not short times. It is like the “in between” phases of matter we have introduced here. Does a quantum liquid described by this AdS/CFT duality exists? Can it be simulated? 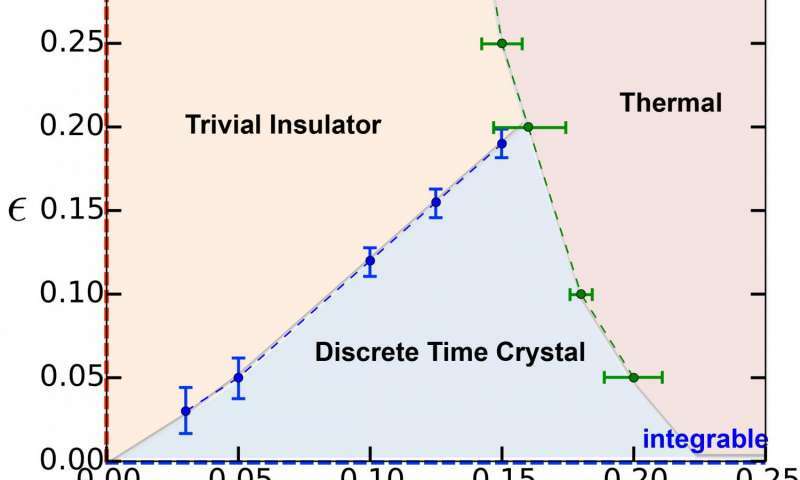 Can it become superconductor or reach strange phases at low temperatures? Does a BH described by AdS/CFT geometry become superconductor or reach strange phases at low temperatures? Box avoids things radiating out to infinity. Charged black holes (RN BH, KNdS BH) are different. The electric field can create pair particles via Schwinger mechanism. The electron wants to screen the field, gravity wants to antiscreen the field. The higher the temperature is, the bigger the BH is…But with boxes or boundaries in AdS/CFT. This is a common example of the battle between electromagnetism (and other forces) against gravity. If a BH is big, high temperature implies gravity wins. And it gets bigger. If the BH is small, low temperature limit, the electromagnetic force wins. And it just condensates some bits of charge outside the BH. And it means a superconductive layer outside the BH could arise! And this means hair…If it is soft hair, as Hawking, Strominger and other have been proposing to solve the information paradox is something to be probed in the near future. From a phenomenological viewpoint, the question is what is the total charge seen from a far away observer, and it should be fixed. What sets the superconductor temperature of a BH, if any? What sets the critical temperature in a quantum liquid? 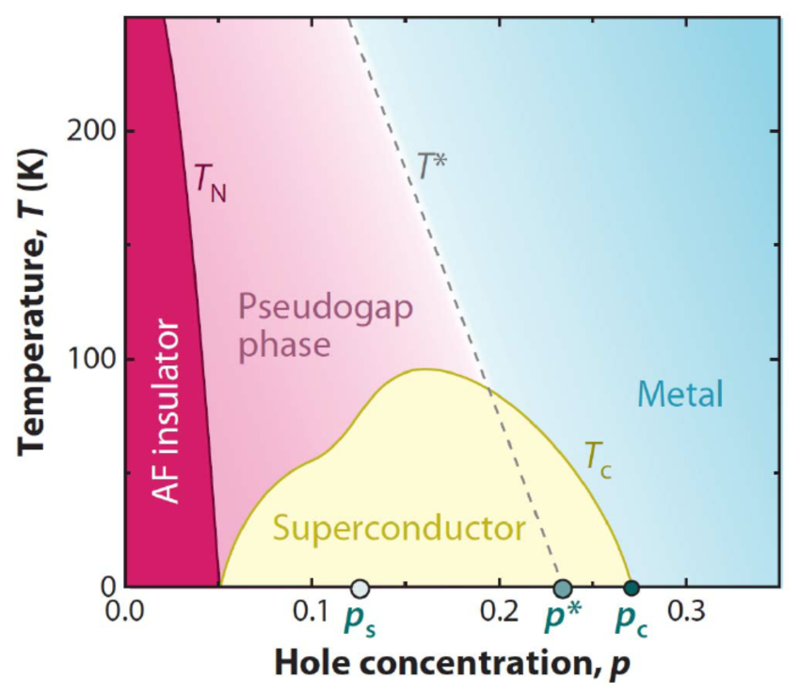 Conventional superconductors have strongly correlated electrons (or Cooper pairs). Cooper paires are bosons but they are truly a couple of strongly paired electrons. 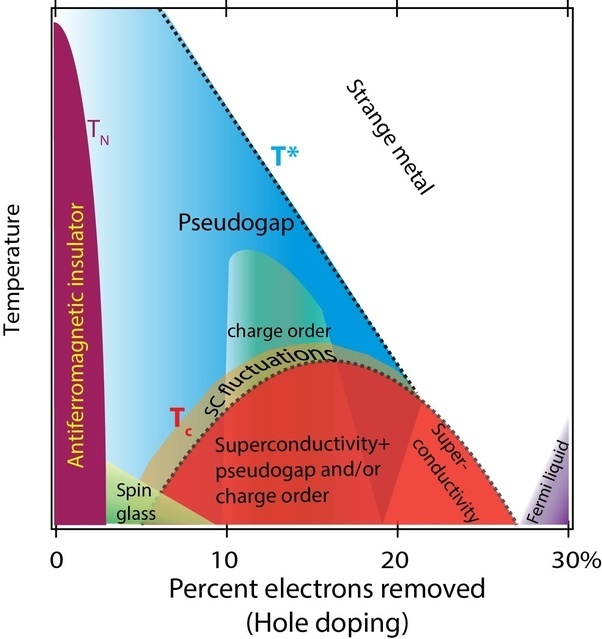 High temperature charges related to quantum liquids in this BH “in between” phase of spacetime means that BH could be exotic superconductors. Any link to supersymmetry/SUSY? What about entanglement in superconductors or/and quantum liquids? These questions are why I love physmatics!